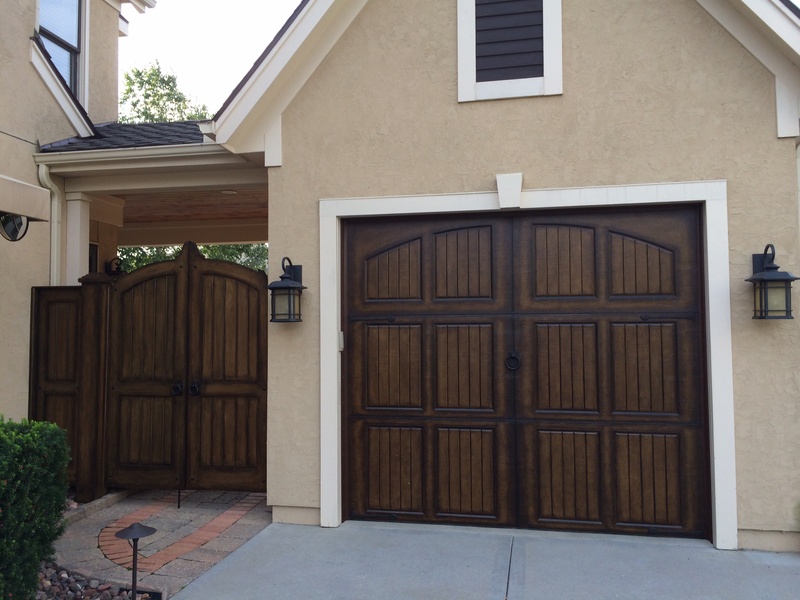 This client’s project was a head-to-toe curb appeal renovation. 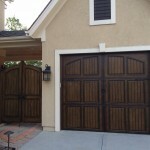 New gates and garage doors, all coordinating. 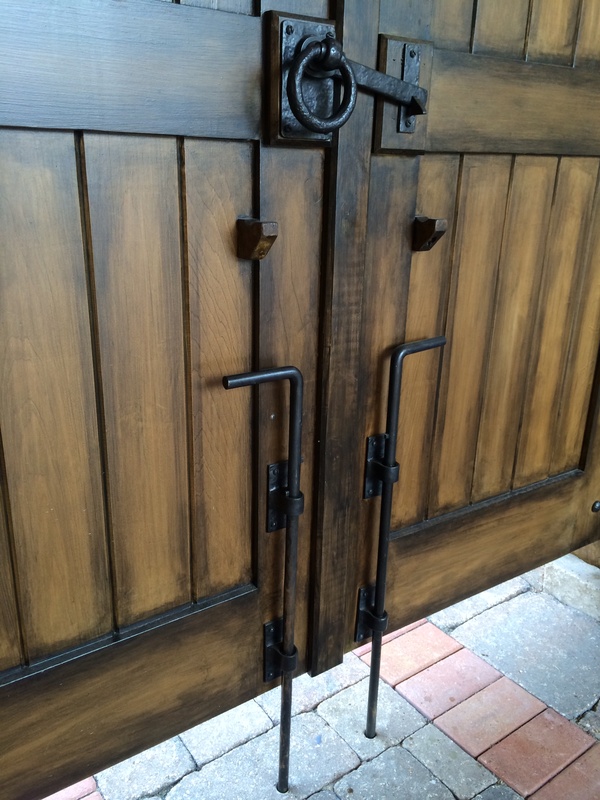 So, too, all new decorative and functional hardware! 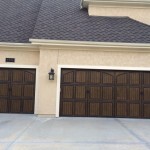 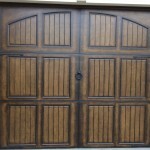 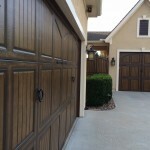 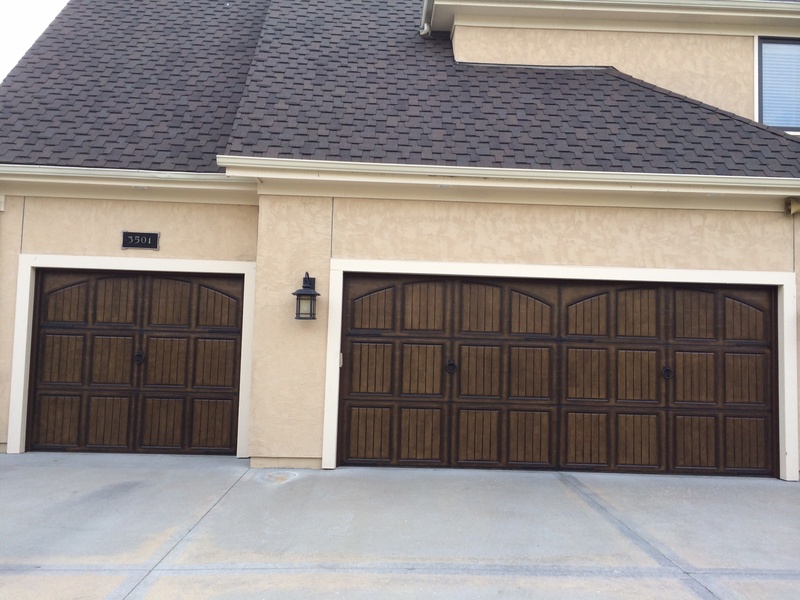 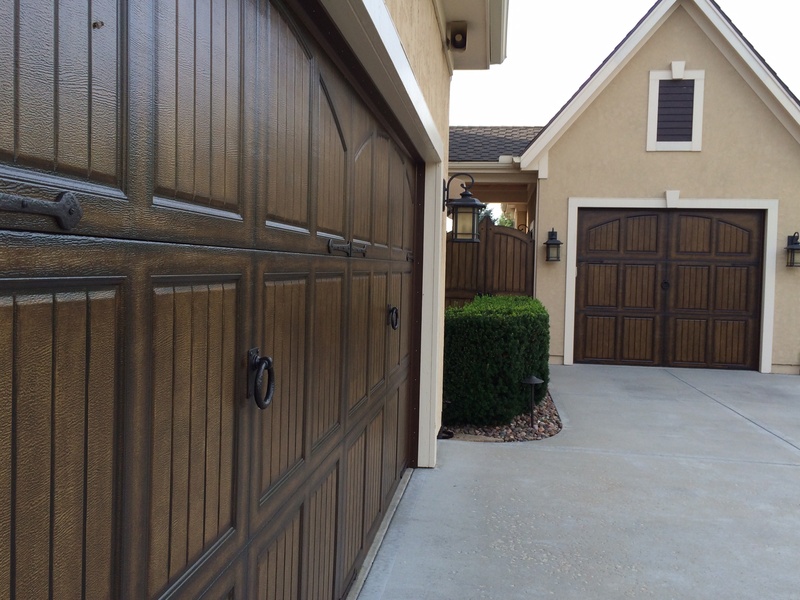 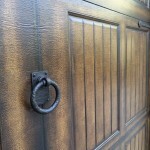 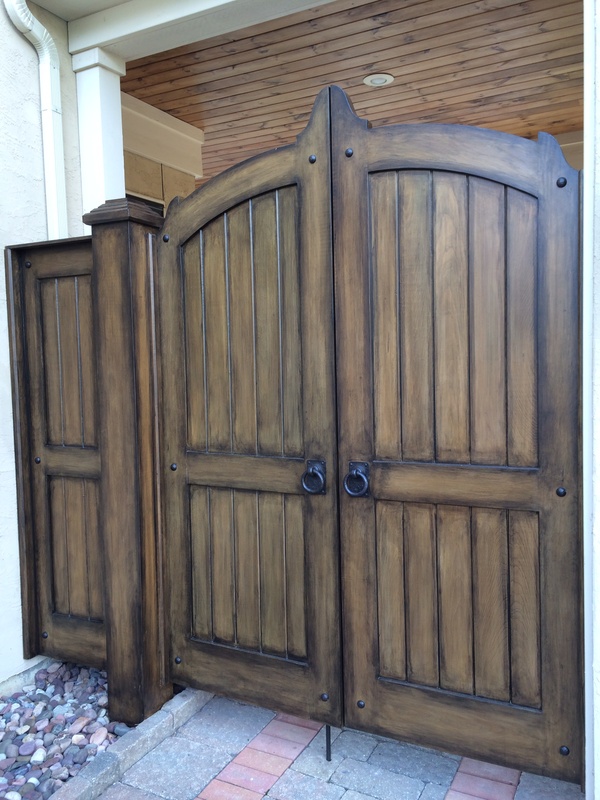 The client used four decorative strap hinges per garage door, with one large ring pull centered on each door. 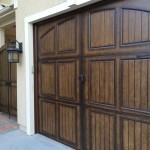 It was just enough to accent the doors, but not overwhelm them. 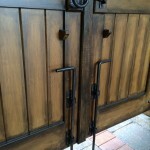 On the double gate, there is one active gate (the one used to open and close regularly) and one fixed gate. 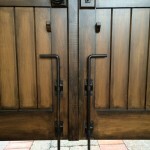 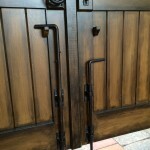 The client chose two cane bolts, one for each gate. 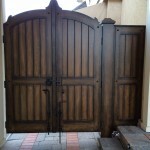 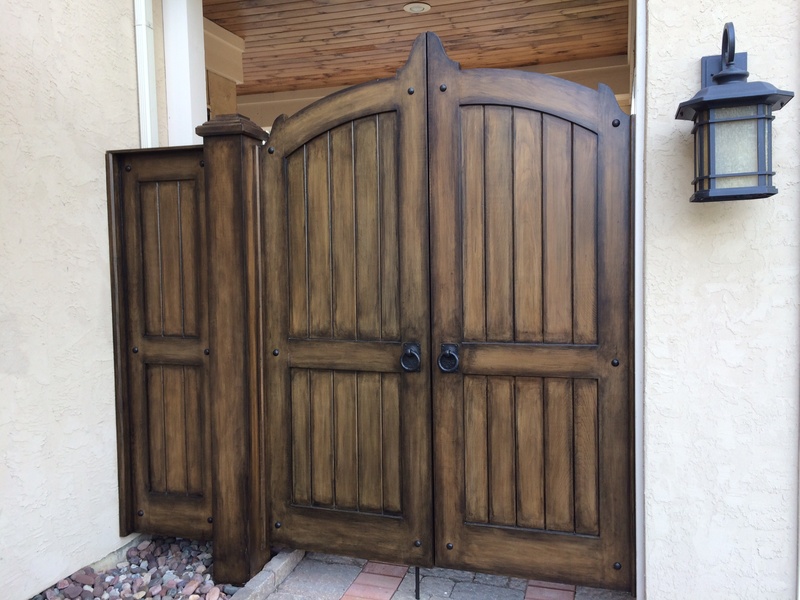 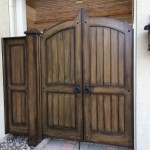 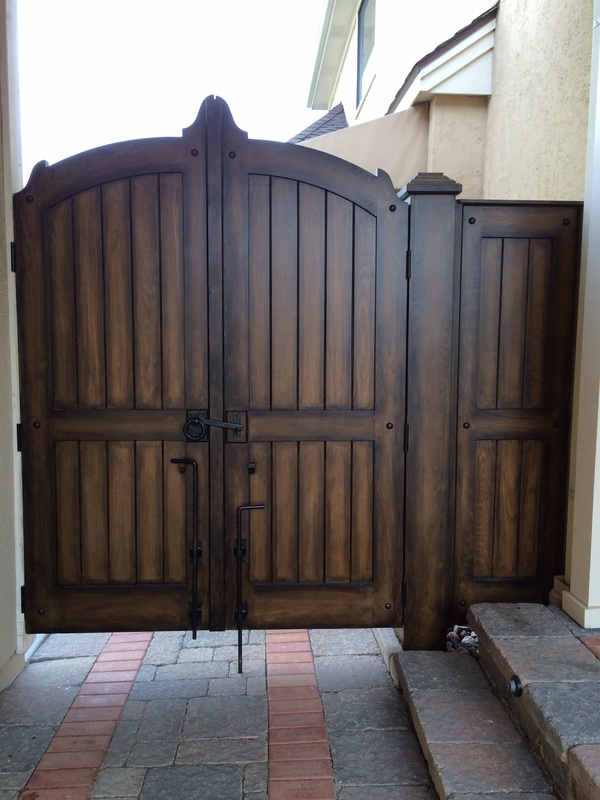 They are used as security and as well as to hold the fixed gate in place as the active gate is used. 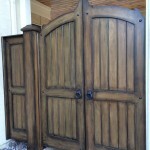 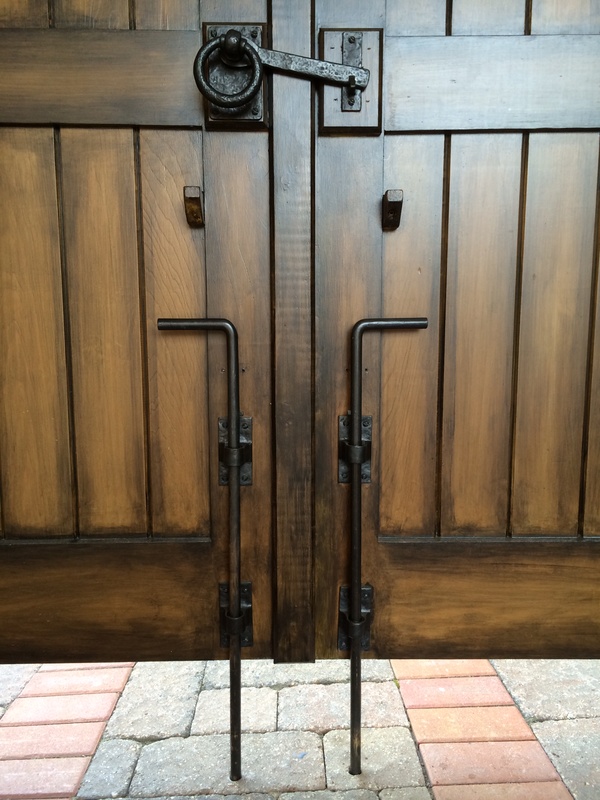 On the outside of the fixed gate is a dummy handle, which add symmetry to the exterior view. 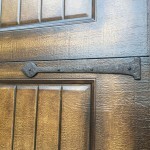 The final touch is the careful placement of 33 – 1″ round bronze clavos nails. 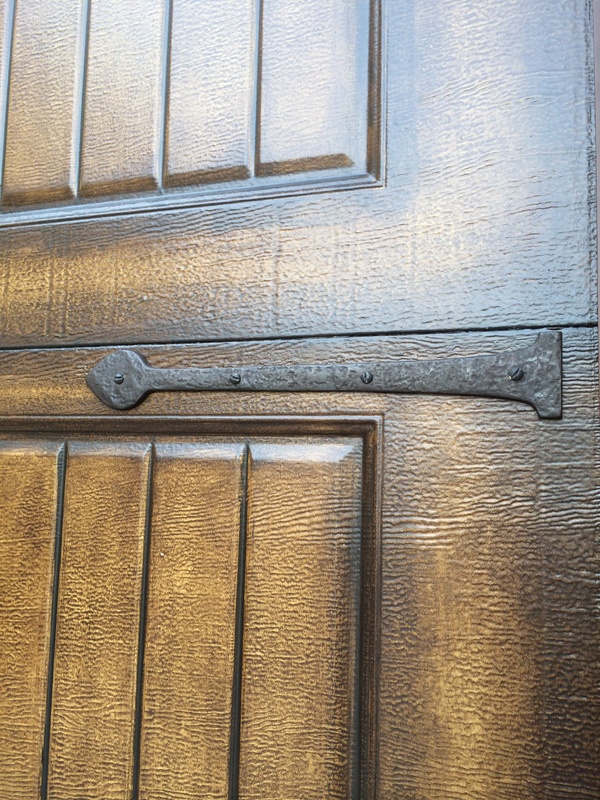 They punctuate the installation so beautifully–again, just enough but not too much. 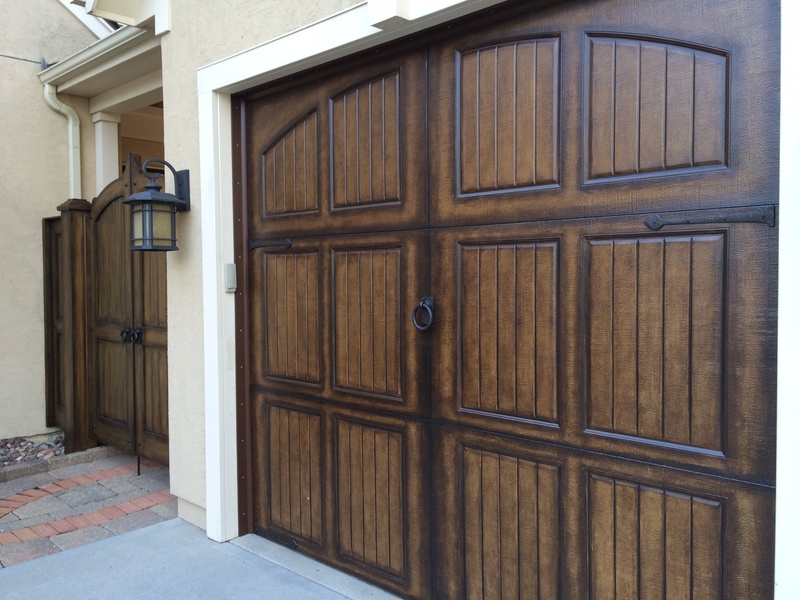 Our admiration for this gorgeous project! 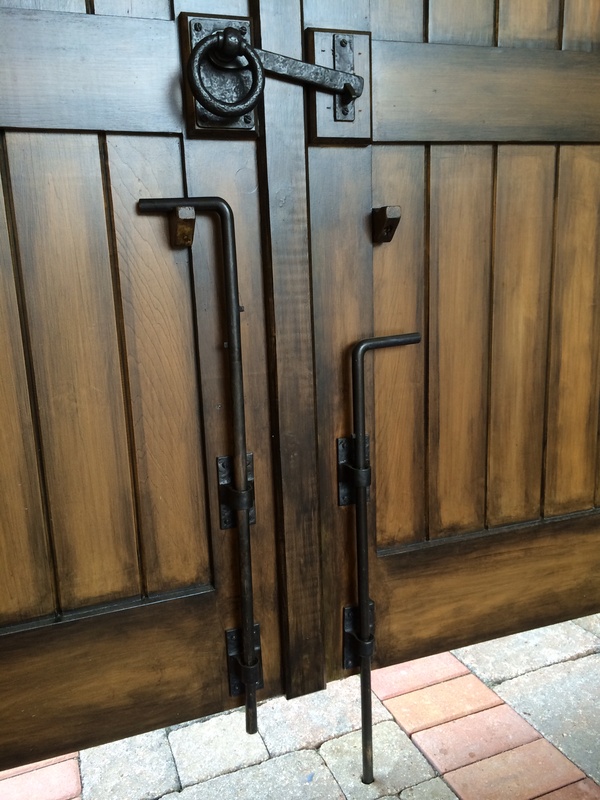 We love the coordination between all the parts. 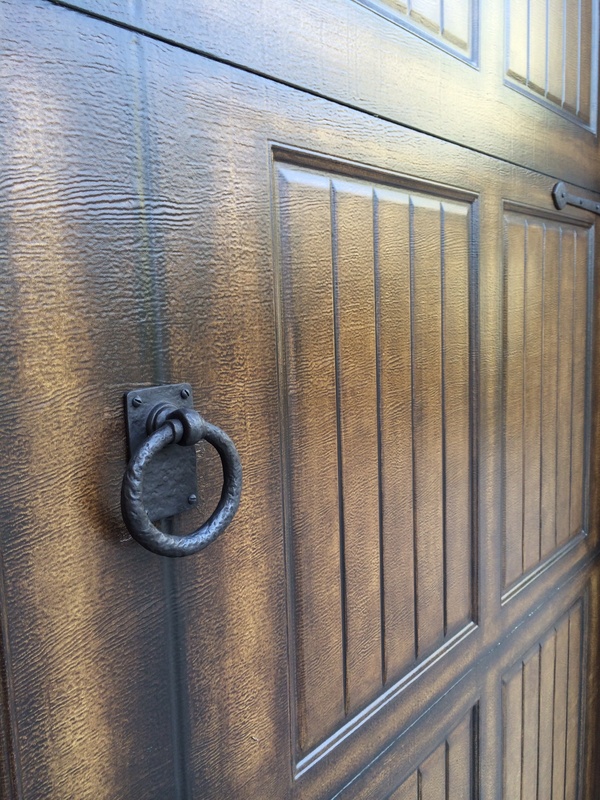 Large bronze ring pull handle hardware, Coastal Bronze 60-200. 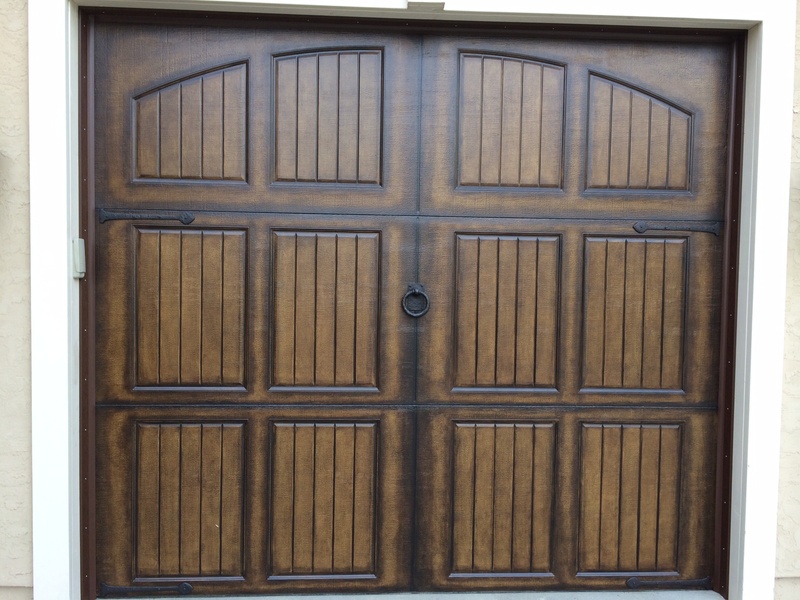 Single garage door with four decorative hinges and decorative ring pull in bronze.